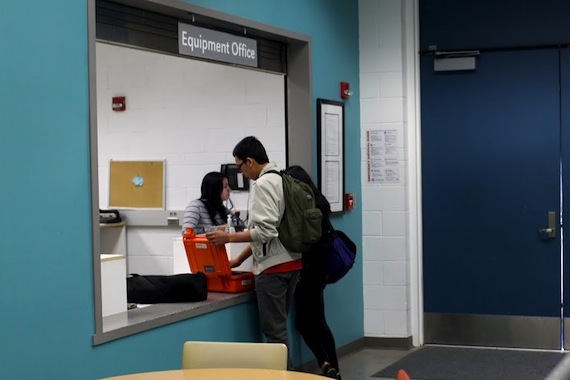 The equipment office serves the needs of students enrolled in Digital Filmmaking classes. Students who have paid their lab/materials fees can then check out university owned film equipment for the Digital Filmmaking course projects. This provides students with the opportunity to work with essential filmmaking gear after learning about its use in lecture and labs.